A drawing can take hours of planning and even more hours of execution. 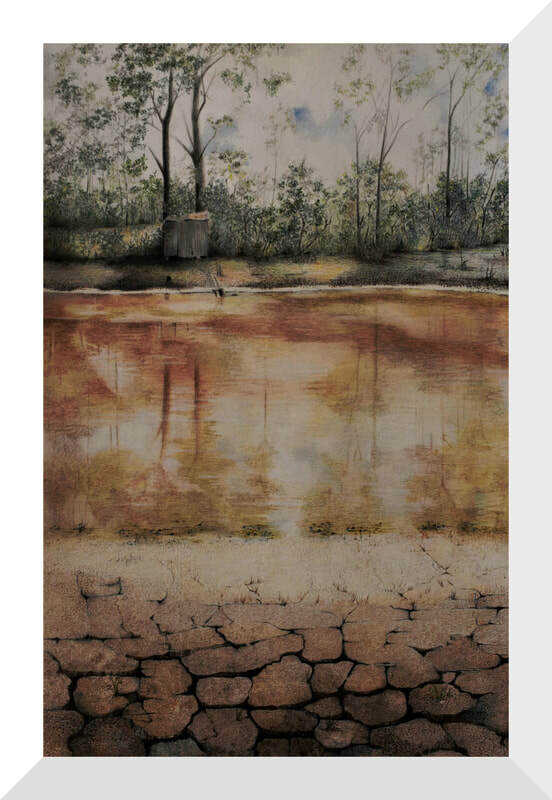 But I enjoy the slow and meticulous layering of colour over colour. The process of making is more satisfying to me than the end product. Most of my landscapes are initially inspired by photographs even though the finished image is often very different from its source. "Barbed Wire #2" 2018. Coloured pencil on Aquarelle. 30 x 40cm. "Reflections" 2017. 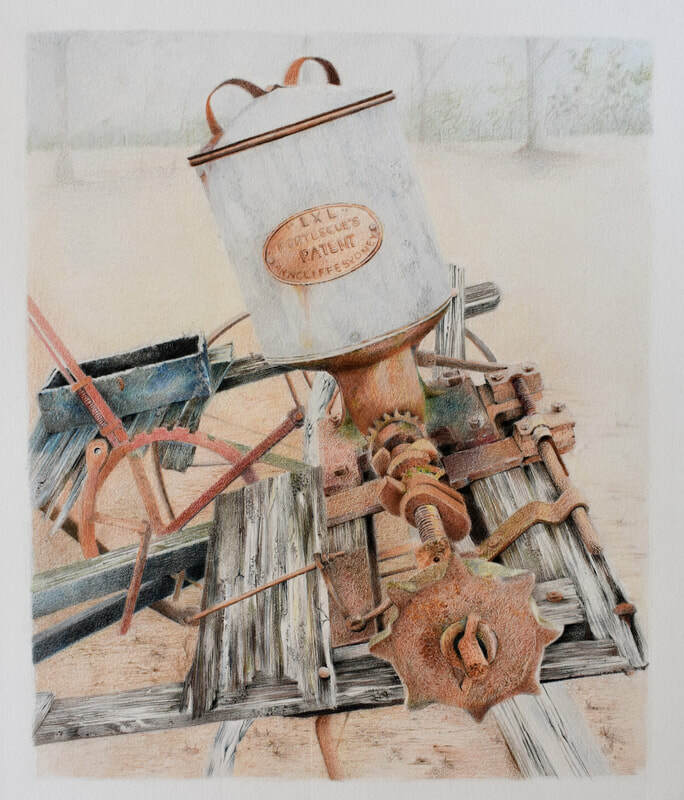 Coloured pencil on Arches watercolour paper 300g. "Farmhouse". 2016. Coloured pencil on cartridge paper. "Refuge". 2016. Coloured pencil on Arches watercolor paper 300gsm. Reference photo - Donovan Desousa. 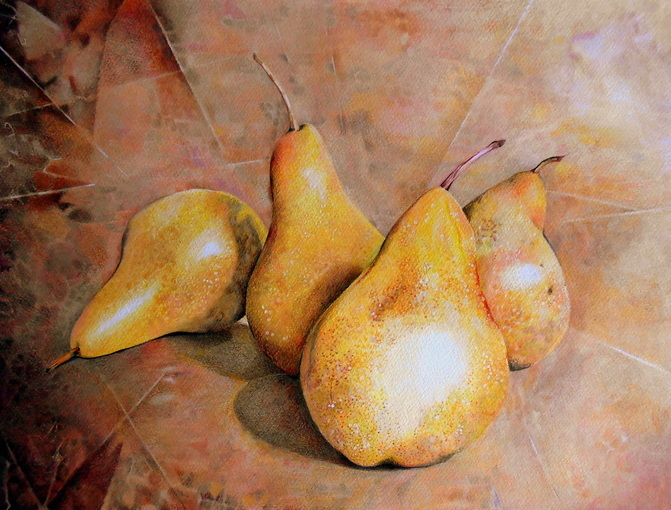 "Pairs of Pears". 2015. coloured pencil on Fabriano Artistico. 30 x 40cm. 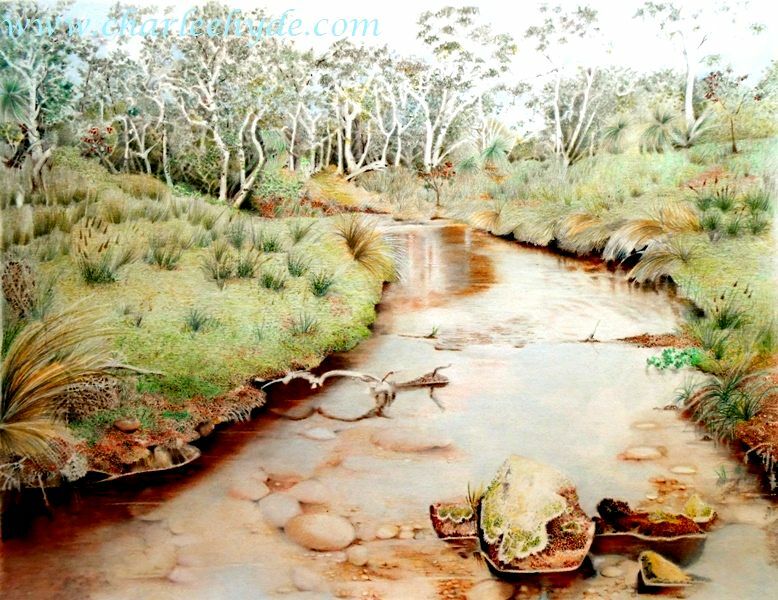 "Creek, Western Australia", 2015 Colour Pencil on Fabriano paper, 30 x 40 cm.